Activating Village Court Project in Bangladesh Project organized a training program for village police in the Research and Process Development (R&PD) area in Bhandaria Upazila under Pirojpur District. A total of 66 village police took part in three different batches. In the R&PD interventions, the local administration is more engaged in implementing the project activities. Upazila Nirbahi Officer and Deputy Director Local Government are directly managing the project activities with regard to both financial matters and administering Union and Upazila level deployed staffs. 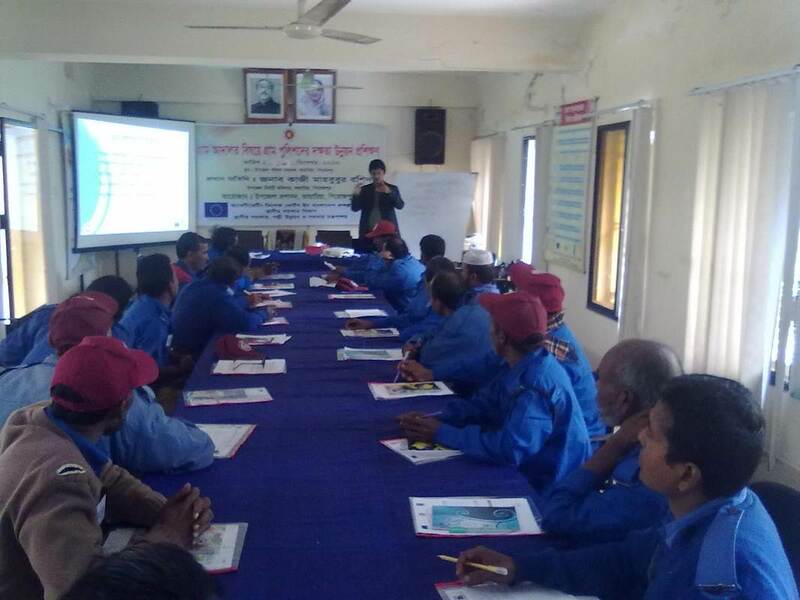 The trainings were held on 18th, 19th and 22nd December to inform and educate the village police on the village courts functions. Mr. Kazi Mahbubur Rashid, UNO of Bhandaria facilitated the training on the role of the village police and how can village police play an inclusive role in ensuring peaceful environment during village courts sessions. The training was also facilitated jointly by the Akshay Kumar Sarker, Upazila Supervisor and Aliul Hasnat Khan, Upazila Trainer of Village Courts Project deployed in Bhandaria upazila. Following this training, village police from seven UPs are now acquainted with the overall objectives of the AVCB project, roles and responsibilities of the village police during village courts sessions, summon delivery, nature and types of cases dealt by village courts, space for women and vulnerable groups in terms of seeking justice through village courts etc.